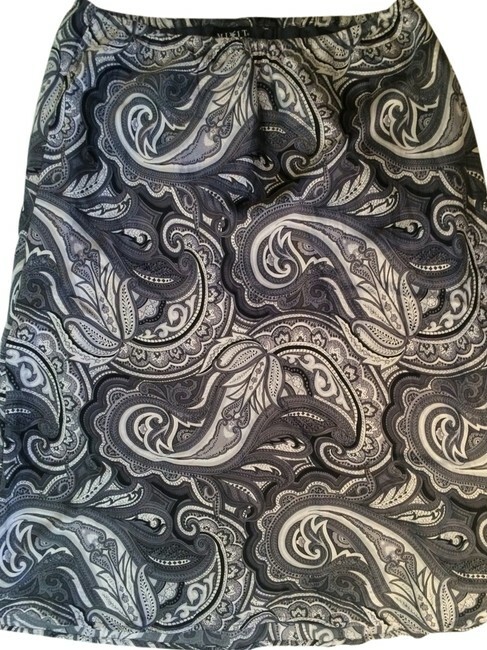 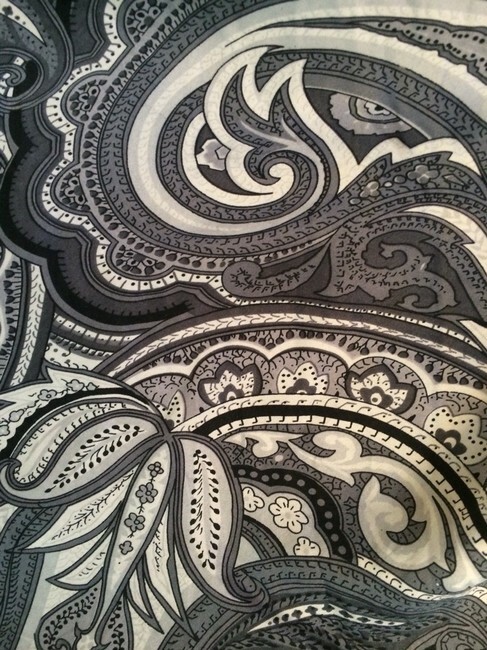 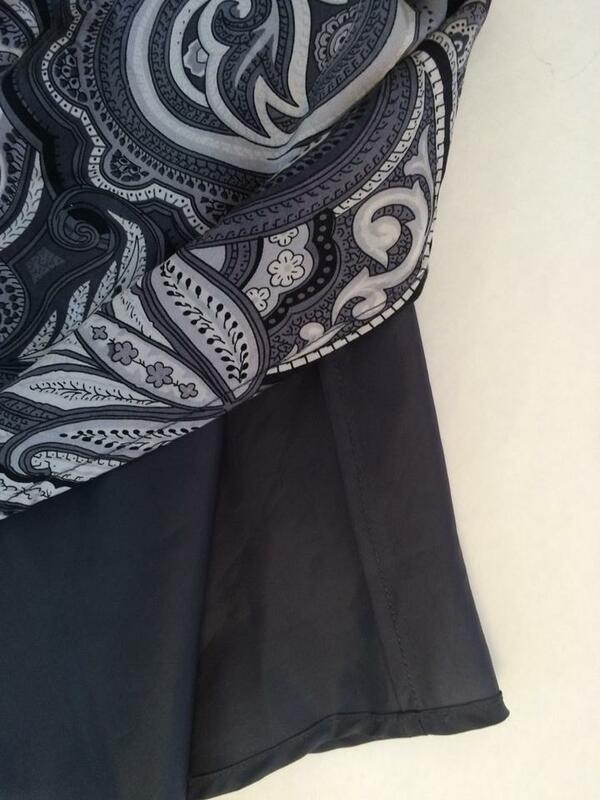 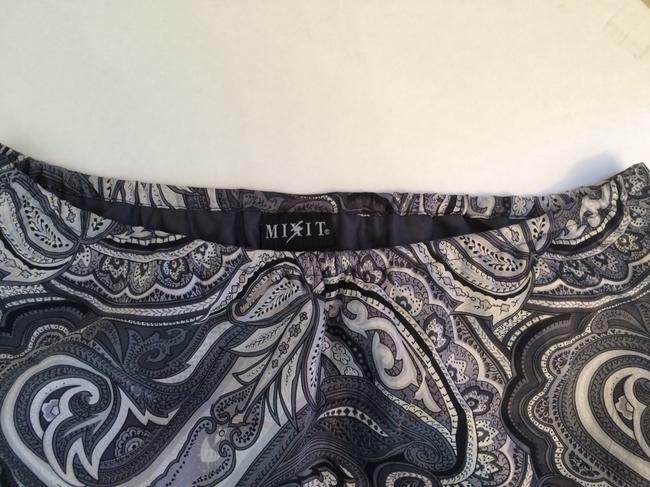 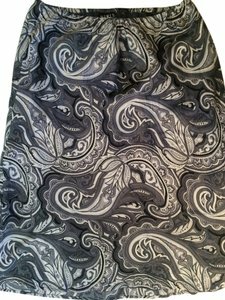 Beautiful black, gray , & white paisley skirt by Mixit. Waist is elastic and skirt has a gray, polyester lining. 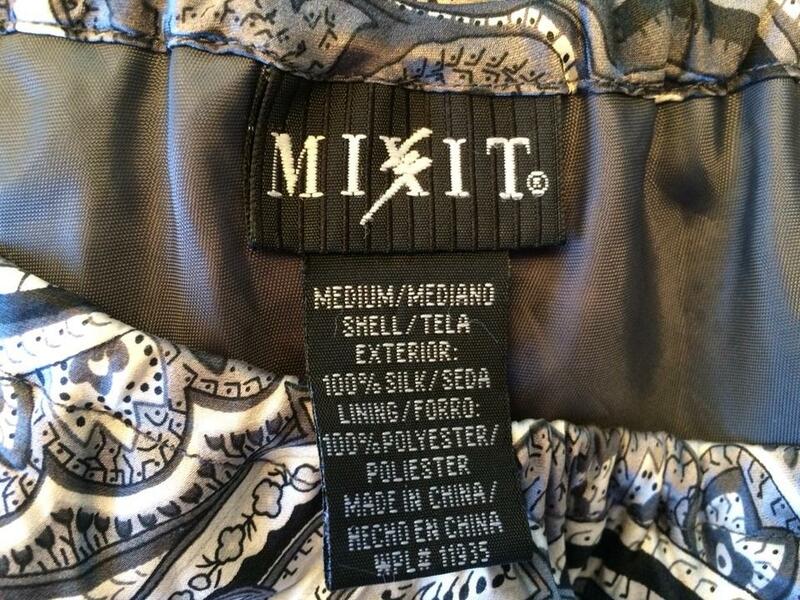 Shell of the skirt is silk.